Monday, February 11, 2019 | 4:30pm | 041 Haldeman Center, Dartmouth College. Free and open to all. Toshihiro Nakayama is a Professor of American Politics and Foreign Policy at the Faculty of Policy Management at Keio University. He is now a Japan Fellow at the Woodrow Wilson International Center for Scholars until August of 2019. He is also an Adjunct Fellow at the Japan Institute of International Affairs. 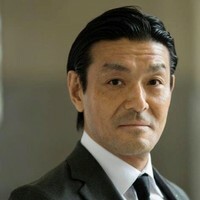 He was a Special Correspondent for the Washington Post at the Far Eastern Bureau (1993-94), Special Assistant at the Permanent Mission of Japan to the United Nations in New York (1996-98), Senior Research Fellow at The Japan Institute of International Affairs (2004-06), Associate Professor at Tsuda College (2006-10), and Professor at Aoyama Gakuin University (2010-14). He was also a CNAPS Visiting Fellow at the Brookings Institution (2005-06) and Sir Howard Kippenberger Chair Visiting Professor at the Center for Strategic Studies, Victoria University in Wellington (2017). He received his M.A. (1993) and Ph.D.(2001) from Aoyama Gakuin University. He has written two books and numerous articles on American politics, foreign policy and international relations. He appears regularly on Japanese media. Writes a monthly column for Japan News (English daily of Yomiuri Shinbun). Recipient of Nakasone Yasuhiro Award (Incentive Award) in 2014. Sponsored by the John Sloan Dickey Center for International Understanding.